The Streets Department is to allow for safe vehicular and pedestrian travel by maintaining and improving City’s streets. The Streets Division is responsible for the repair of streets, sidewalk, curbs, and gutters. It is also responsible for the removal of snow and ice from streets and roads in the winter. The Streets Division aims to maintain manhole depths of 1.5 inches or less on city roads. Because the lifts and rings for manholes come in 1.5 inch increments, manholes less than that depth cannot be repaired without costly construction. The ideal depth is 1/4-1/2 inches to allow for thermal expansion in the winter. Manholes that are above road grade make snow removal difficult and can result in significant damage to snow plows. 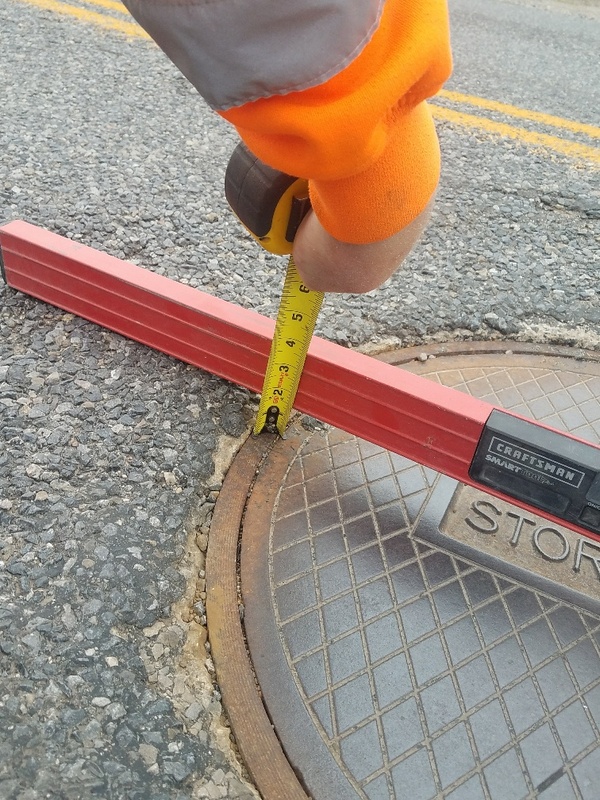 The streets division frequently measures manhole depths on our main roads. If you feel a manhole has a depth deeper than 1.5 inches, please report it using our Report an Issue tool and a crew will measure and/or repair it.